For several of the students I work with, this year is one of huge transition: moving from elementary to middle school or from middle to high school. Transitions are stressful, disruptive, exciting, and mysterious. Having just gone through my own transition during my move from California to Vermont, I have experienced first-hand how topsy-turvy transitions can make us feel. During my move, I felt a multitude of emotions, including fear, happiness, sadness, and finally, peace. (Thankfully, I really love Burlington, where we landed.) Your child may experience all of these feelings in the course of a single day during the next few weeks, even if they are only transitioning from one year of middle school to the next. There are always new teachers and routines to manage. What can you and your student do to make this transition go smoothly? Allow down time. This could be for playing video games, meditating, eating a favorite snack, watching a YouTube video, or playing Pokemon Go. Down time is super important during stressful transitions because they allow a respite from the stress of change. Encourage a lot of sleep and an early bed time, if possible. After-school naps can really help for the next couple of weeks. Create a safe space for your child. Perhaps that means giving them a journal where they can write all their feelings down...one that no one will read. Or maybe it means offering your ear so they can air their concerns. Help them set up a part of their room where they can go to sit and reflect/color/draw/listen to music/meditate for a few minutes. Provide extra support. Maybe your child needs extra help remembering to put their homework in their backpack, or how to organize themselves so they can find what they need. 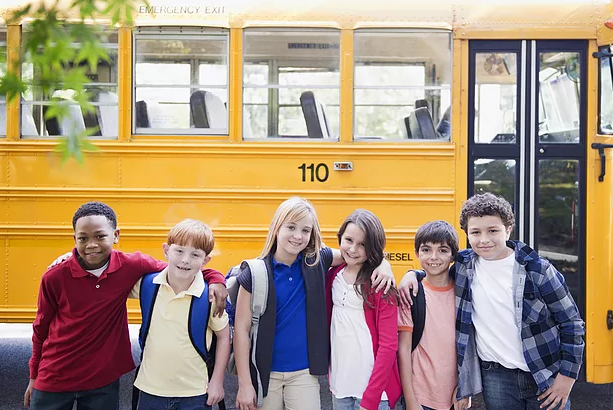 It’s likely been at least two months since they have had to be in school mode, and offering extra support for the first several weeks can help them start successfully. Once you see them becoming more independent, you can slowly taper off your help. Let them know that tears, stress, worries, and feeling tired are all a normal part of starting something new. Give them space to be where they are so they can process the transition. And, of course, I am here to support your child with this transition as well. Do not hesitate to reach out for help.